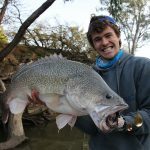 Home Articles Fish Species Murray Cod River Closure: During Murray Cod close season? 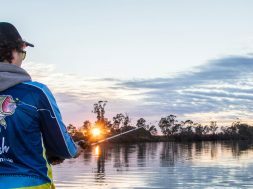 Should native rivers be closed to all forms of fishing during Murray Cod close season? 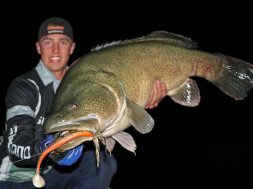 Spring means closed season for Murray Cod. 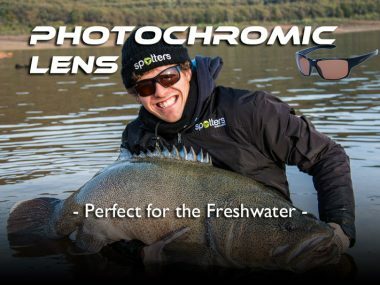 This is when they breed and we leave them alone to let them do their thing for three months (except for Copeton, Blowering and Eildon as they are open to year round fishing due to research proving that breeding isn’t successful). 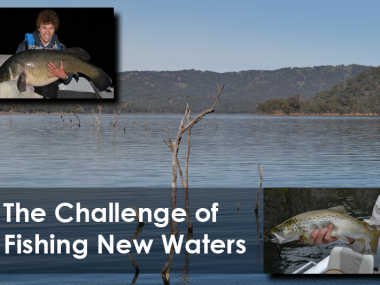 Rivers are the lifeblood of our fishery and this is where natural recruitment is important. 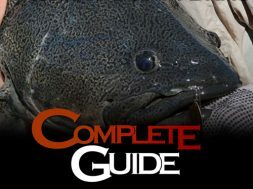 In terms of laws, Murray Cod that are caught during the closed period must be release immediately. Growing up as a kid the river was our backyard fishing spot during spring after a long and cold break during winter. 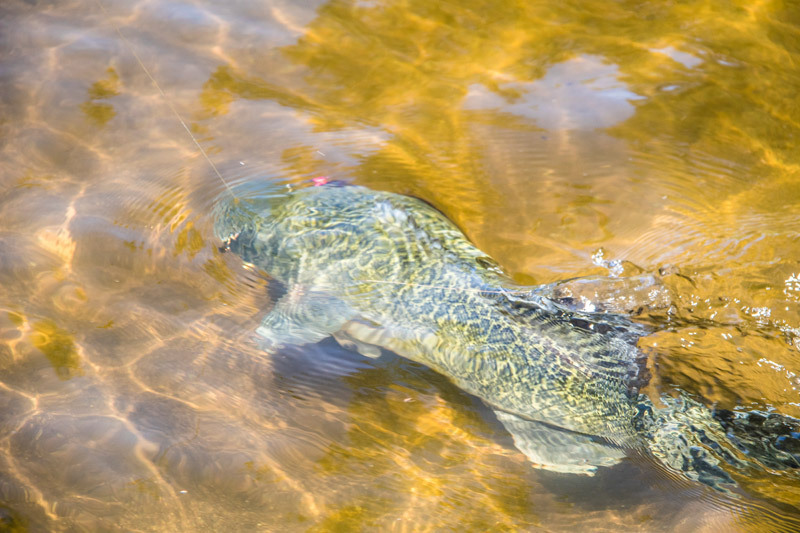 The warmer weather made for great fishing conditions and we use to bait fish for Carp and Golden Perch with a bit of lure fishing, on most weekends. 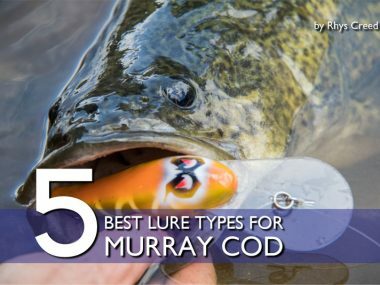 Murray Cod were always a by-catch. We didn’t have a dam close by to fish, so the river was the only option. 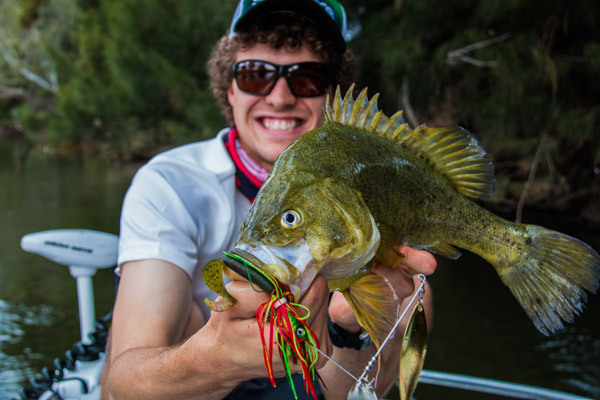 These days we mainly cast lures and I have always loved targeting river and dam Golden Perch during spring, ask any angler and they will tell you it’s the best time to fish for them. 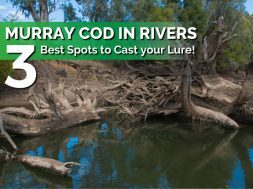 Lately there has been a lot of talk in regards to possibly closing off rivers all together that are home to Murray Cod and not allowing anglers to fish the waterway (much like what we do with Trout). 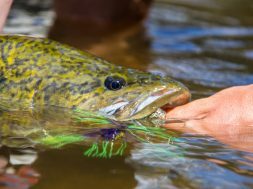 This would allow the Murray Cod population to breed in peace without incidental capture from anglers. 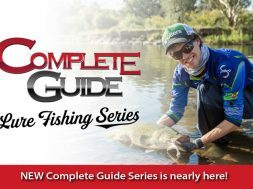 But shutting the rivers off to all fishing for the three months is a massive ask. 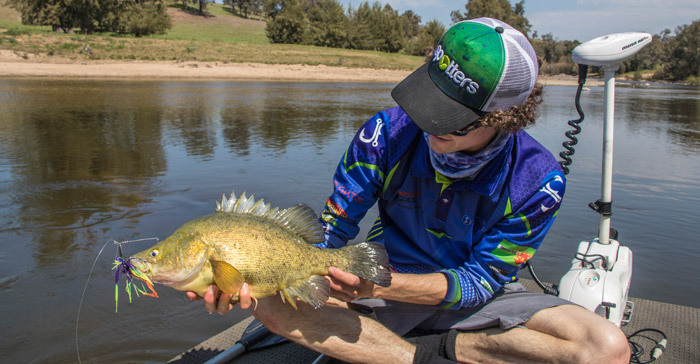 During spring if the conditions are right I love fishing the rivers with spinnerbaits and hardbody’s for Golden Perch, it’s such an exciting style of fishing. 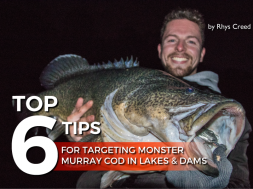 We ensure that we fish sections of river that have high populations of Golden Perch and I understand that Murray Cod are an accidental capture. 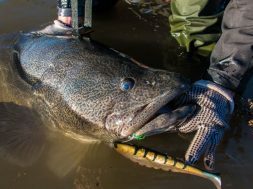 If they are we release them immediately, just like with every native I’ve ever caught. 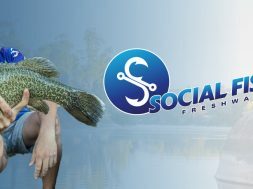 And I’m sure many anglers enjoy fishing their local creek or river, or maybe take their kids down bait fishing on a Sunday afternoon. 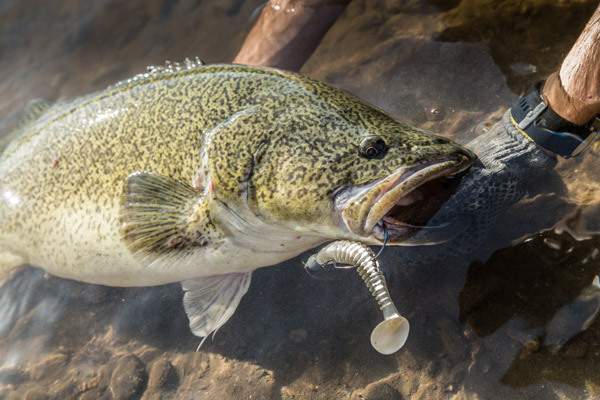 Accidental Murray Cod captures will happen, but with the proper education of immediately returning Murray Cod to the water during spring and proper handling techniques, our younger generation will have an amazing year round fishery for decades to come. What are your thoughts? 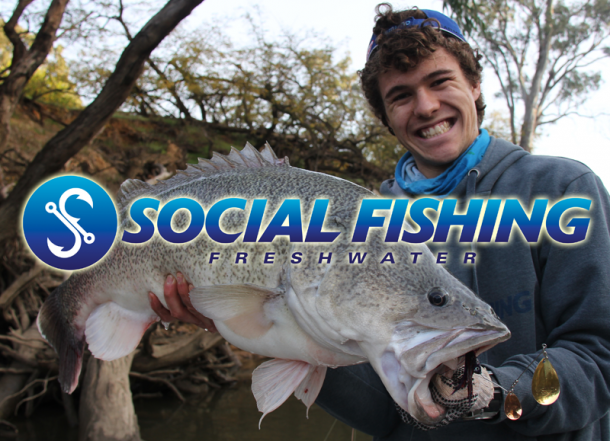 Should we be allowed to fish rivers from 1st September through to 1st December? 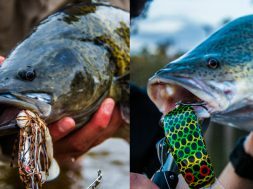 Or should all styles of fishing be banned for these 3 months? 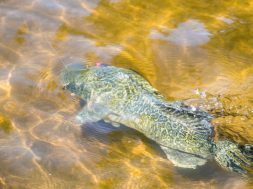 If a large proportion of the angling community believe we should close rivers for the three months maybe it is something that needs to go to fisheries? 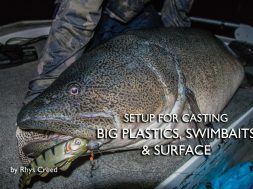 Or possibly even bring in maximum lure size regulations? We would love to hear your thoughts, opinions and ideas on this topic. 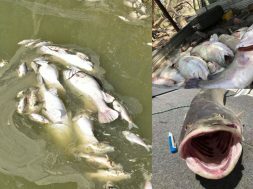 Should rivers be closed to fishing during spring? 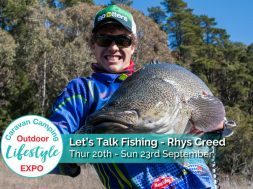 previous Caravan Camping Expo: Rhys is talking on Stage!